Several residents’ welfare associations in the city have sent notices to flat owners to get verification of their tenants and domestic helps done within 15 days, failing which they will face police action. TOI recently carried a report ‘Gurgaon fails to protect its senior citizens’ which had revealed that police receive barely 20% verification (tenant and servant) forms, with most coming from apartments and least from plotted colonies. According to the notice received by flat owners in Sector 56, they will have to get verification of their tenants and domestic helps done and submit a copy of it to the local police station. The flat owners have appreciated the move and assured verification would be done on a priority basis. The TOI report said that despite a rising crime graph involving domestic helps, residents are not taking servant verification drive seriously. Though a few areas have shown good response but still a majority of residents remain to be unconcerned. Police have written to the district administration to issue orders under Section 144 of the CrPC making landlords and employers responsible for verification. City resident Abhinav Jain, however, said the notice would not fetch much result as most of the time when you go to a police station for tenant or servant verification, cops demand money. “Many tenants have been found to be involved in crimes such as murder, drug trafficking and theft. In most of such cases, they had been staying in other cities after committing the crime. The drive will now keep an eye on such criminals,” said a senior police officer. Explaining about the verification process, the officer said it requires submission of duly filled Tenant Verification Form to the nearest police station. 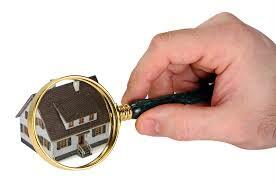 Police conducts its own checks to ascertain that prospective tenants are not criminals, the officer added.